If you follow this blog, you probably follow the news around the Microsoft Business Intelligence stack. Which means you probably saw the post around the roadmap and what it means for Datazen. But if you didn’t for some reason, here’s the scoop – a new report type, Mobile Reports, will be supported in SQL Server Reporting Services 2016 when it is released sometime next year and it will be based on Datazen technology. So what does this mean for you, exactly? Well, a number of questions around this announcement came up during PASS and on Twitter, so I thought I’d recap them here for folks who couldn’t attend or don’t follow me on Twitter. 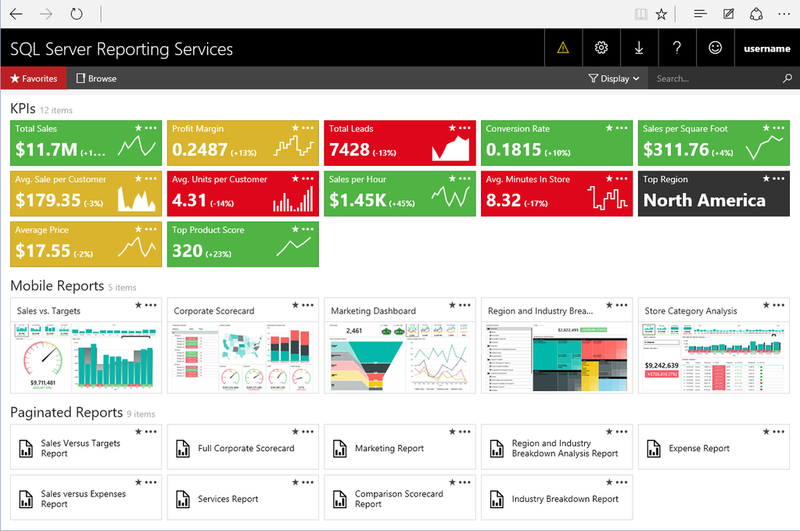 When will we see Mobile Reports in a CTP for SQL Server Reporting Services 2016? By the end of this calendar year. Our target is to deliver a public preview by the end of the calendar year. Will the Datazen name be going away? Yes, the Mobile Reports experience is all part of SQL Server Reporting Services in 2016 and beyond. A new publishing app will be made available with updated branding and will be used for building mobile reports. At PASS Summit 2015 we demonstrated a single Power BI mobile application delivering a combination of report types from both SQL Server Reporting Services 2016 and the Power BI service. Will I be able to migrate my existing Datazen dashboards to the new experience? Yes, the plan is to give you a migration tool to assist you with that process and make it as seamless as possible. This tool won’t be available at the same time as the first preview release, but we are planning to release it before the GA release. Does this mean we will get support for WinAD groups when it moves into Reporting Services? Yes! As Riccardo Muti mentioned on Twitter, this is one of the ways Datazen and SSRS are better together. Will brand packages be supported in the new Reporting Services experience? Yes, they will. More information around how that will work in the new service will be made available in the near future. What functionality will be changed/updated when it is migrated into Reporting Services? The way you build mobile reports, consume and interact with them on mobile devices or in a browser should basically be identical to the way you do so currently. You’ll definitely see changes on the server side as it brought into SSRS so we can give you more of the things you’ve been asking for (like WinAD group support). You’ll hear more about what exactly is being updated or changed as the release date gets closer. How will it be licensed in SQL Server 2016 vs. today? Since it will be part of Reporting Services, it’s reasonable to assume it will be licensed the same way Reporting Services is today. Which product SKU will the Mobile Reports capabilities be available in for SQL Server 2016? TBD. There will be an announcement around which product SKU’s in 2016 it is available in at a later date. Will the Mobile Reports capability be available in SharePoint integrated mode or Native Mode, or both? Mobile Reports will be available in Reporting Services running in native mode only at 2016 GA, but can be surfaced in SharePoint using an iFrame similar to how you can do so now with Datazen. There, that covers off basically everything that was announced or asked and answered at PASS concerning the future of mobile reports and Datazen. You should be hearing additional details around some of these items either on the Datazen blog or the Reporting Services blog as the highly anticipated CTP release with this functionality approaches. If you have additional questions you didn’t see addressed here, please leave a comment on the blog. I might not be able to answer all of them, but will do my best to do so. I have been working with Datazen for about 3 months and my main concern is the limited ability to make changes to the charts/visualizations. We get updates for PowerBI every week but Datazen has not seen much improvement since it was acquired by Microsoft. The basic functionalities such as changing the font or aligning the labels are missing from Datazen. 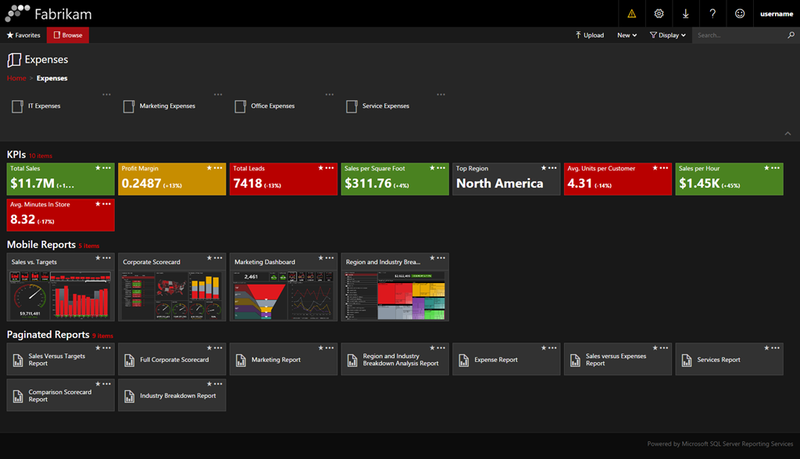 Will we have the same flexibility in mobile reports(Datazen) that we have in power BI? Does Microsoft has this aggressive continuous improvement plan for the mobile reports as well? The pace of updates should increase as the product is integrated into Reporting Services, especially when it comes to the items you referred to. There will always be some difference in timing between how aggressively you can update a SaaS service vs. something you have on-prem, so I can’t speak to what the exact cadence of those updates will be like.